Global finance has a distinctive and important geography. Although money can flow easily around the world, it remains concentrated in a small number of cities, including London, called international financial centres. Understanding how and why such cities dominate global finance and the implications of this for globalisation more widely is an important area of research for geographers. 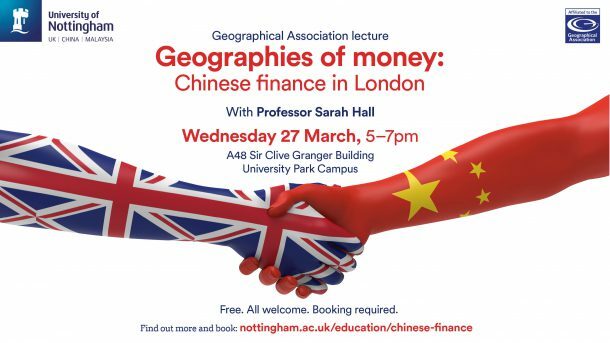 This event will take place on Wednesday 27 March, 17.00-19.00 in A48 Sir Clive Granger Building, University Park Campus. Refreshments will be provided after the lecture. For further information, and to book your place, please visit the event page.